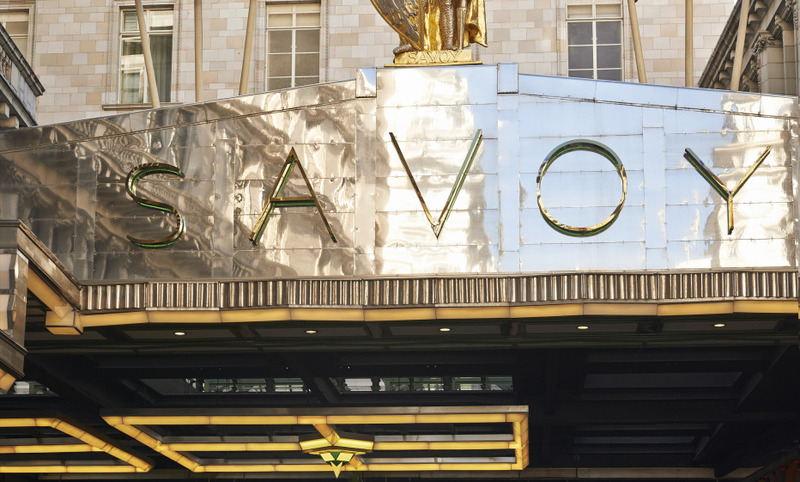 To stay at The Savoy is to follow in the footsteps of Sir Winston Churchill, Frank Sinatra and Christian Dior. "The Perfect Arrival" - All guests are personally greeted and escorted to their room or suite for a seamless check-in. Spend a fantastic evening at Beaufort Bar in a beautiful Art Deco setting accompanied by nightly entertainment. Probably the finest hotels I have stayed in . The American Bar really is the Worlds Best Bar! A magnificent hotel. The heritage, decor and passionate staff truly make the Savoy a memorable experience. The Savoy is a fantastic hotel. We did enjoy every bit of it. We were received very kindly by concierge outside hotel. Hotel staff did a marvelous job and in particular Rob, Concierge did a good job. Stunning hotel in a vibrant and beautiful city. My favorite hotel to date. We loved the hotel, it is the only hotel we are going to stay at in London. The staff were so friendly, which mad our stay unforgettable. We would recommend the Savoy at to any one. We just loved it. A mythical British hotel, luxurious, charming and with great staff full of experience and humor. The concierges are very good at what they do. A beautiful hotel, the atmosphere and attention we received from all the staff justifies the trip alone. I would like to recognize several staff members for their help: Anya in Reception because first impressions are so important; Dean, your concierge, for his help with directions and theatre tickets, and a young lady whose name I don't know. I came to tea on Friday and was politely told no tables were available. Upon hearing I was a guest of the hotel, she found one for me in a few minutes. It was an experience I'm glad I did not have to miss. Your hotel is lovely, but it's always the staff who make the difference between a good stay and a great one. Iconic! Lovely hotel in great location. Facilities were good and staff were lovely. Shame about some of the nasty guests we witnessed they had to put up with...alas, those people are awful and unable to be helped. The concierge were lovely, and booked us into Chiltern Firehouse on a Friday night - unheard of!!!!! The hotel is larger than what I normally prefer, so you do lose a little of the &quot;personal&quot; touch, but that is not a criticism of the hotel which was just lovely! A memorable stay capped off by the All Blacks winning the RWC! Happy kiwis, both of us! A hotel with an authentic atmosphere which is a joy to experience. It will be a pleasure to return. The Savoy Hotel in London is a beautiful, luxurious, elegant hotel. The staff were very professional, helpful and very friendly. We would like, in particular to thank the lovely staff, helping my husband (wheelchair user), in and out of taxi's, to the restaurant's and bar's and to our room, I very lovely touch/experience. The standard, quality, location and service exceeded our expectations. We would recommend the Hotel to friends and colleagues. World class hotel and efficient and helpful staff. We will definitely come back next time we’re in London. A great hotel but at our arrival the receptionist did not even bother to accompany us to our room. A poor welcome to a great hotel. He said here is the lift, this are your keys: your room is on the seventh floor. Most enjoyable. The attention of the staff (especially Christina and Rose in Kaspar's) was excellent. Would happily return. Absolutely amazing hotel. Beautifully furnished, staff were exceptional, very friendly and made our stay very relaxed. One of the best stays in a hotel chosen by you. I will return and I have already recommended it to several friends. Really positive experience. Very good apart from the restaurant where both of us requested fillet steak but were told there was only one left, I was shocked to hear this as we was dinning in the Grill. Overall experience good. Breakfast service in Kaspars was poor. 45 minutes and I still did not get what I ordered (continental breakfast). Express check-out did not work . The Savoy is a wonderful hotel. It is the best place to stay in London. It has a lovely atmosphere and charm and everything is perfect. Fabulous hotel. The staff is just great. I would stay again at Savoy Hotel and highly recommend it.